Björk Guðmundsdóttir began her recording career at the age of 11 with the release of a self-titled record that made her a celebrity in her native Iceland. Although her name and face were on the cover, she had almost no input into the content – a situation she decided she would never again allow to happen. In her teen years, she rebelled against her classical training and joined Iceland's lively but (to the rest of the world) obscure punk movement with bands such as Tappi Tíkarrass. In 1983, Björk joined Kukl -- a kind of Icelandic punk "supergroup" that included other regionally well-known figures like Einar Orn of Purkur Pillnikk and Sigtryggur Baldursson of Theyr (Þeyr) -- which released two records on the Crass label. The impossibly high standards the participants set for themselves caused Kukl to implode by 1986, but out of the ashes was created The Sugarcubes: a pop band started ostensibly as a joke, but which became Iceland's first internationally successful music act, and launched Björk into stardom. 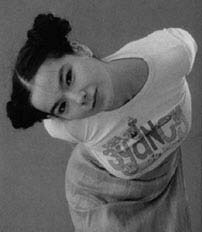 By 1993 the joke had played itself out and Björk struck out on her own. Her solo debut, titled (wait for it) Debut was a commercial and critical success that far exceeded the Sugarcubes. Subsequent releases have only served to reinforce her popularity, despite becoming increasingly non-commercial. This is particularly evident on the record Vespertine (2001), which combined the electric harp of Zeena Parkins, an all-female Inuit choir, and a peculiar form of micro-electronica developed in collaboration with the duo Matmos. Björk has also made several forays into acting, beginning with the obscure The Juniper Tree (1987), but more notably in the Lars von Trier film Dancer in the Dark (2000), for which she also provided a collection of songs (released in record form as Selmasongs later the same year). The experience of making this film was so unpleasant to her that she has publicly stated that she will never act again. Her musical explorations resumed in 2004 with the release Medúlla, an album composed entirely from sounds created by the human voice, featuring contributions from distinctive vocal performers such as Fantômas frontman Mike Patton, human beatbox Rahzel, and Inuit singer Tanya Tagaq Gillis.